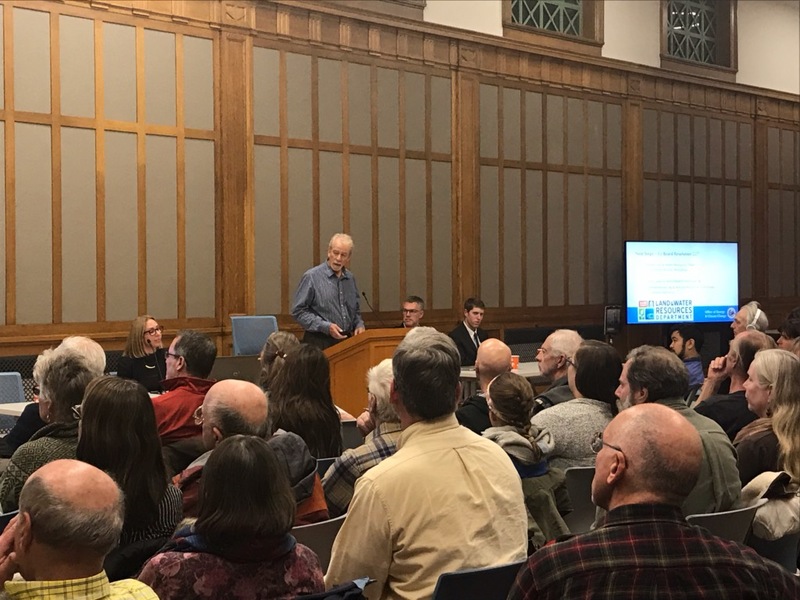 Concerned citizens packed a conference room in the Madison Municipal Building Wednesday to hear the city’s response to climate change’s impending, drastic effects. Four experts sketched the issues facing Madison and the solutions that could curb them. The experts included the Director of the Nelson Institute Center for Climatic Research Dan Vimont, Chief Medical Officer at Wisconsin Department of Health Sciences Jon Meiman, Director of the Dane County Office of Energy and Climate Change Keith Reopelle, and the city’s Facilities and Sustainability manager Jeanne Hoffman. These groups monitor climate and assess the future consequences of elevating temperature. The Intergovernmental Panel on Climate Change estimated that the atmosphere’s temperature will raise up to 2.7 degrees Fahrenheit above preindustrial levels by 2040 if greenhouse gas emissions remain steady. Vimont said carbon dioxide levels are reaching unprecedented levels due to human actions, which are in turn causing temperatures to rise. 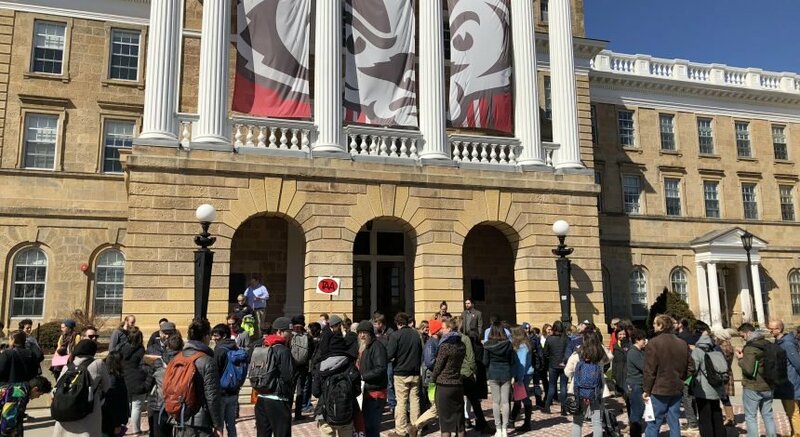 This could lead to not only a shortening of the winter season, but also an extension of Wisconsin’s hot summer days and an increase in annual rainfall, Vimont said. Conversations, Vimont said, help the community understand what the cost of climate change will be for the city. To bridge that gap, Hoffman, for example, worked with disabled residents of an apartment complex who expressed concern during the extreme flooding back in August and created a plan to move them if the water created problems. Climate change will not only affect Wisconsin internally, Hoffman said. If climate change impacts neighboring states that trade with Wisconsin, food sources and shipping could be severely impacted. To combat this impending phenomenon, the Center for Disease Control funded 16 states and two cities to study climate change and its impact on human health. The Wisconsin DHS is one of them. Meiman helped create a plan for neighborhoods to adapt to these changes wrought by climate change. His team has distributed toolkits to several neighborhoods instructing them on things like flood prevention and green infrastructure development. 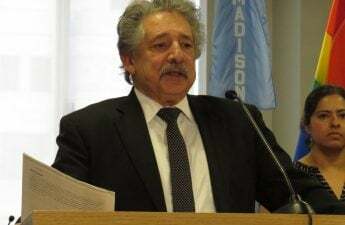 Help has made all the difference as the city and state saw historic flooding in August and in 2008, where 31 Wisconsin counties were declared a federal disaster area, Reopelle said. Reopelle touched on Dane County’s Climate Action Plan and how it has developed possible solutions for the county and perhaps the whole state. These include numerous potential actions, like regenerative agricultural systems, green infrastructure and groundwater research. 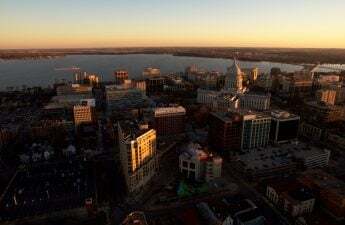 “Madison and Dane County are really well positioned to be leaders in this effort and can do that with the tools we have today,” Reopelle said.